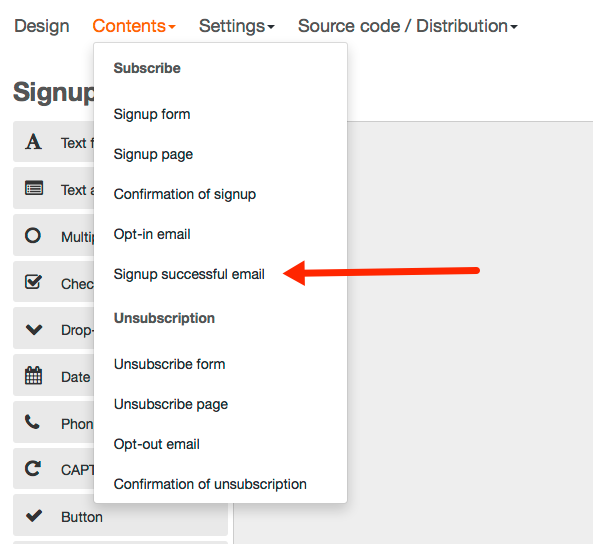 If someone signs up for your newsletter you might want to send them documents such as ebooks, coupon codes etc. How can this be done with CleverReach? In this article you have already been introduced to the form functionality. You can use this now to provide the interested recipient with the documents you have available for him. The easiest way to do this is via a “successful registration” link. To provide your recipient with the document you need to place it on your webserver (e.g. ebook.pdf) and then link to this with the “registration successful” link. Add an HTML section to your email and link either text or an image with the URL to the file on your webserver. The filename of your document should not contain spaces since this might cause an error when the link is clicked in an email client.